Referring to the protection of women at work place by framing Vishaka guidelines and rescuing children working in industry, Chief Justice of Indian Dipak Misra said, "What you see today may be relevant tomorrow. CJI Dipak Misra defended the court taking a pro-active position on citizens' fundamental rights. 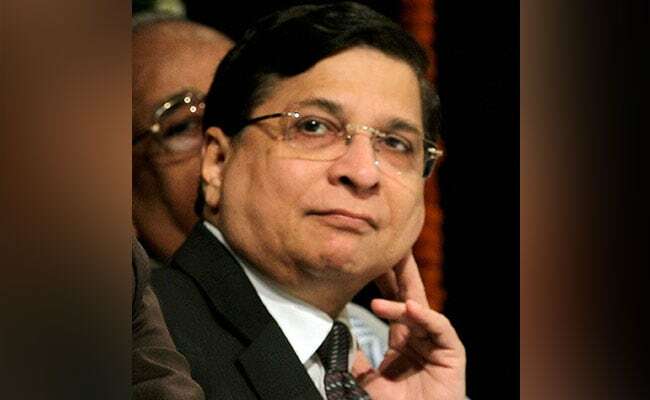 New Delhi: Dismissing the perception of judicial activism, Chief Justice of India Dipak Misra today said that protection of fundamental rights of citizens is the "sacrosanct duty of the judiciary" and it is obliged to stand with citizens if government entities "encroach" upon their fundamental rights. Speaking at the National Law Day celebrations at Vigyan Bhavan in New Delhi, Justice Misra said: "The citizens have been guaranteed fundamental rights and the governing entities are not expected to encroach upon it. The moment they encroach upon it or there is an apprehension that there is an encroachment, the judiciary is obliged to stand by them." Chief Justice Misra defended the court taking a pro-active position on the fundamental rights of citizens and expanding their scope. "There is a perception that there is a judicial activism... I must clarify protection of fundamental rights of each and every citizen is the sacrosanct duty of the judiciary which has been conferred on by the Constitution. Fundamental rights have been expended from the date the Constitution came into existence," he said. The CJI also said the judiciary has no desire to make policy. "Nobody intends, nobody desires to enter upon the policy making areas. We don't make policies but we interpret policies and that's our job," he said brushing aside concern raised over judicial activism or judicial over-reach by the Minister of State for Law and Justice P.P. Choudhary. The prime task of the three wings of the state is to defend the Constitution, its values, morals and philosophy, Chief Justice Misra said. Pointing out that there was a direct co-relation between Directive Principles of State Policy and the fundamental rights, Chief Justice Misra called for a quality governance and said, "Cooperative constitutionalism is the responsibility of the three organs of the State to protect the Constitution which is the source of their origin." Referring to the protection of women at work place by framing Vishaka guidelines and rescuing children working in industry, Chief Justice Misra said, "What you see today may be relevant tomorrow." The two-day conference on the occasion of National Law Day was also addressed by President Ram Nath Kovind, Lok Sabha Speaker Sumitra Mahajan, Niti Aayog Vice Chairman Rajiv Kumar and Law Minister Ravi Shankar Prasad.